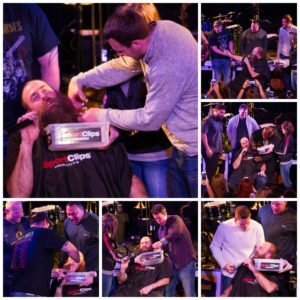 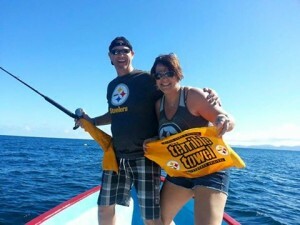 It’s Fan Friday at brettkeisel.com! Jaime Lucchetti falls in the BIG fan category! Yes, that is Keisel’s face tattooed on her arm. 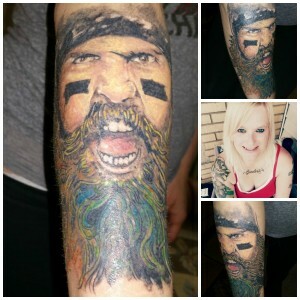 She also has Big Ben’s signature on her foot. 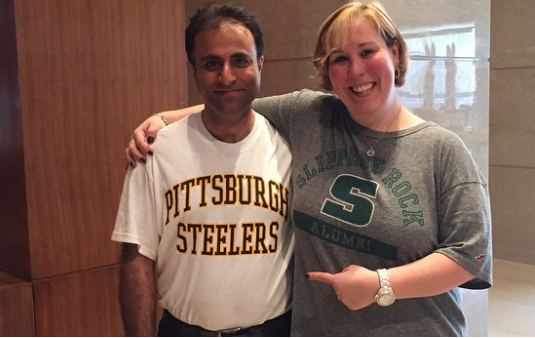 Heather Rodriguez sent this photo of friends Kristie Babinsack and Rajesh Raina showing their Steeler pride in India!